Our little dragons program prepares children ages 4-5 for the “big kids” class. Little dragons have to show responsiveness and basic discipline in the trial class in order to be accepted into the program. By learning focus, basic motor skills, self control and respect for others, each child will accelerate at his/her own ability. 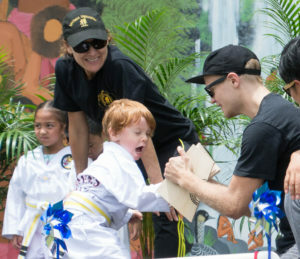 Our instructors use encouragement and confidence building in order to bring out the best in your child. Our junior assistants who are former Little Dragons themselves, serve as excellent role models and mentors for the Little Dragons. 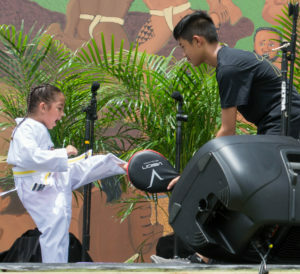 Undesirable behavior is modified through attention building skills, bowing and showing courtesy to Masters and students, kicking/striking techniques, and a positive reinforcement “Star Program”. Enrolling your child into the Little Dragon program will turn your children into some of the youngest leaders in the Country, and successful career leaders of tomorrow. All that is required is consistency and regularity; much like public school. Our most successful students started in this program. If you bring your child to a class, you’ll meet a few of them.